Hi, loves! Happy Monday! We’re kicking off this beautiful first week of fall in the sweetest fashion: with a wedding giveaway! 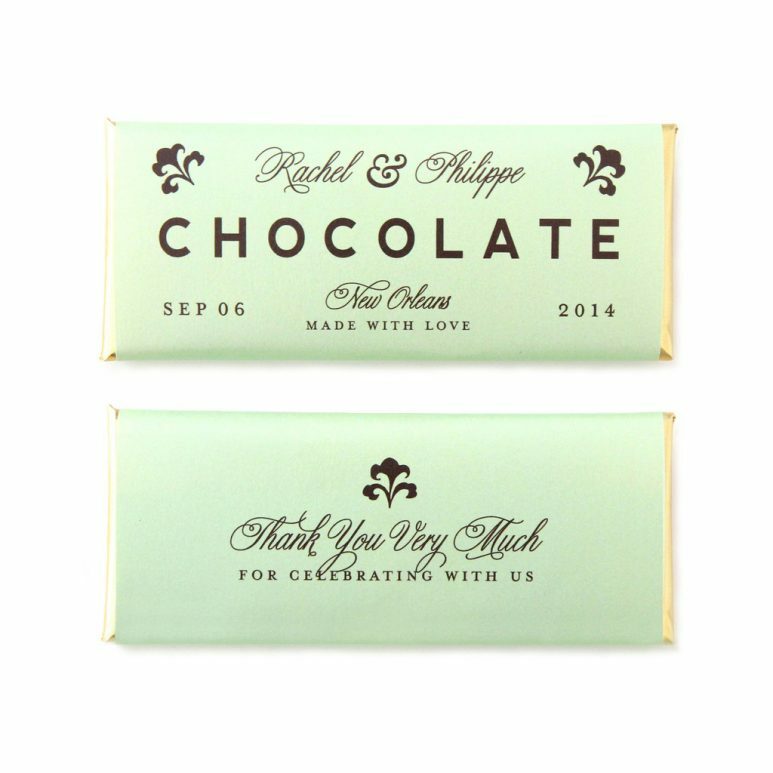 But first… are you looking for a wedding favor your guests will actually love? Make it easy on yourself and go with candy: a) it’s edible, b) it’s affordable, and c) it’s candy, which everyone loves! Win, win. Win. 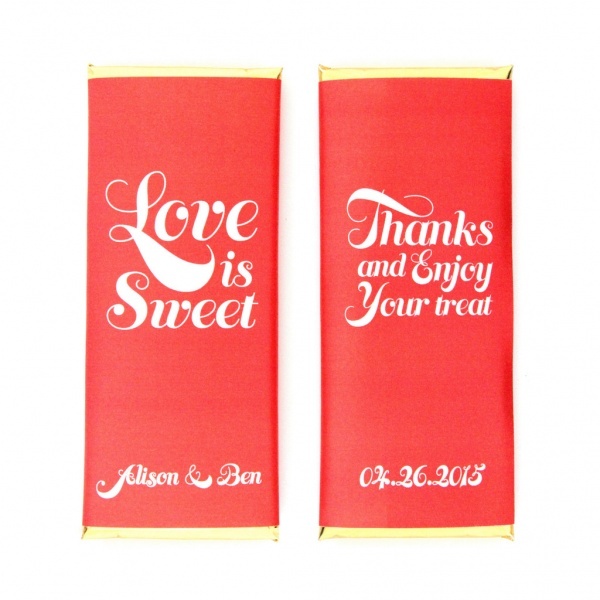 When you add personalized candy wrappers to the mix, your favors will tie in beautifully with your themed wedding. 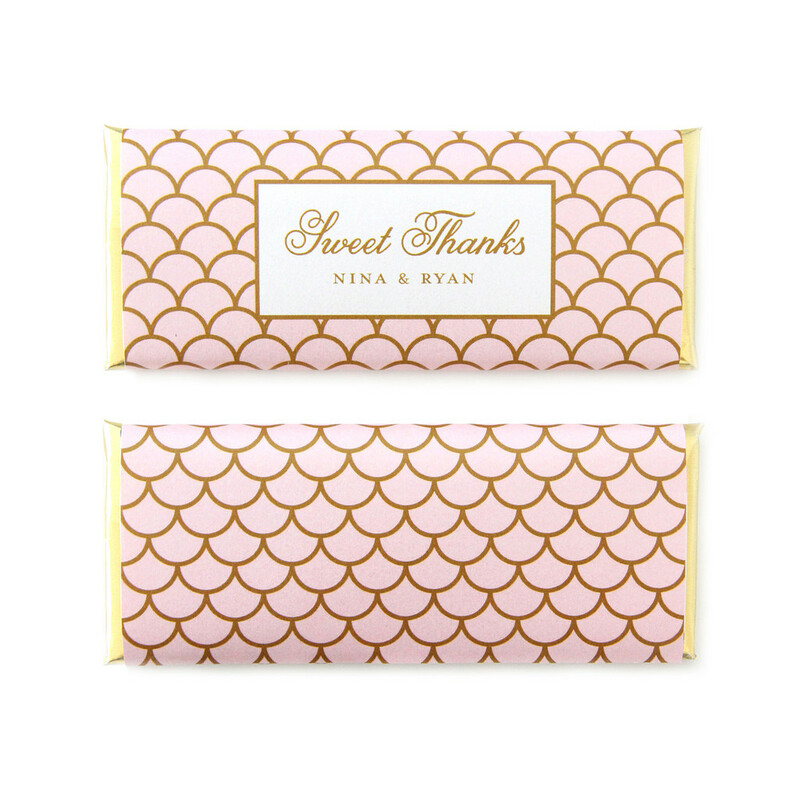 To inspire you (and help you keep a little change in your pocket), we’ve teamed up with Sweet Paper Shop to give away personalized candy wrappers for wedding favors. These candy wrappers will cover a standard Hershey’s 1.55oz milk chocolate bar. 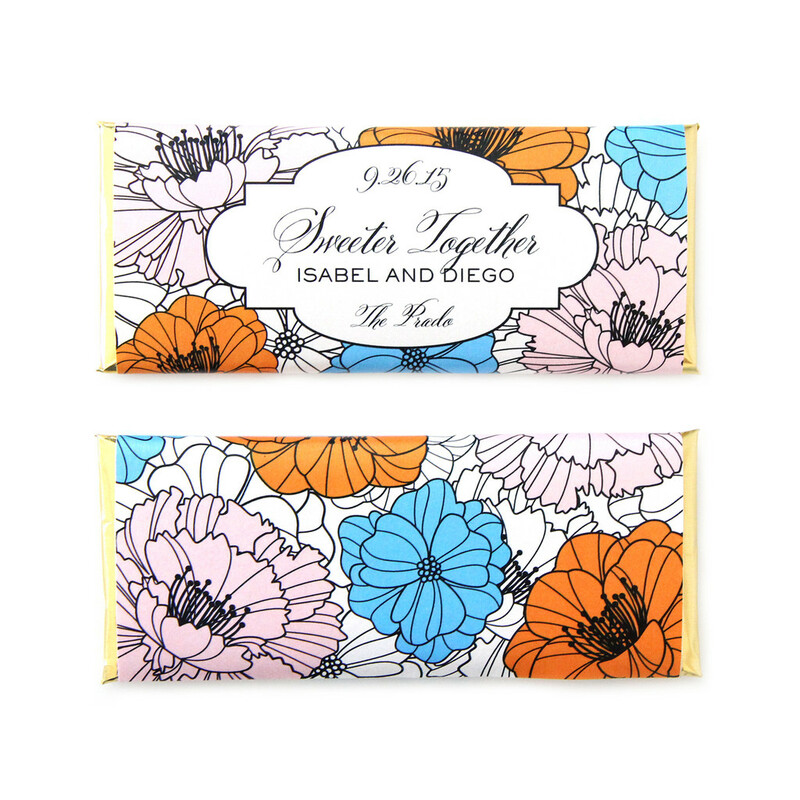 You get to pick your favorite pattern and your candy wrappers will be personalized just for you. 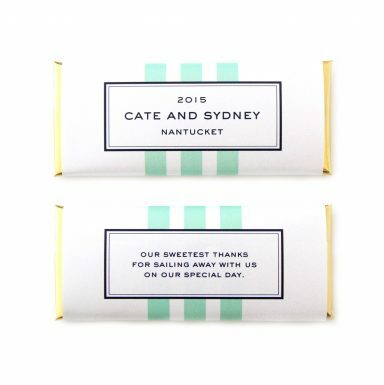 The hardest part of making your favors will be deciding which pattern to pick and trying not to sneak a few chocolate bars before the big day… Believe me, Andrew & I gave Hershey’s candy bar favors at our wedding and, let’s just say we ordered a little extra, you know, for taste-testing purposes. (Someone’s gotta make sure they taste good… am I right?) Enjoy! To see more, check out their personalized candy bar wrappers. o Prize: Personalized Candy Wrappers for Wedding Favors by Sweet Paper Shop. 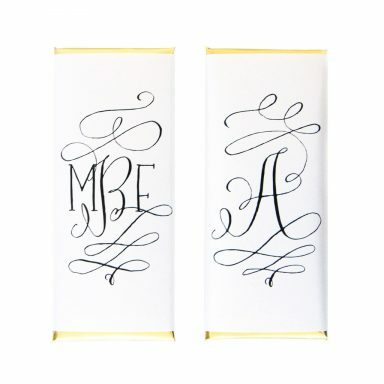 Winner receives a coupon code to order up to $75 worth of personalized candy wrappers, any style. Candy bars not included. o FREE shipping included anywhere in the world! 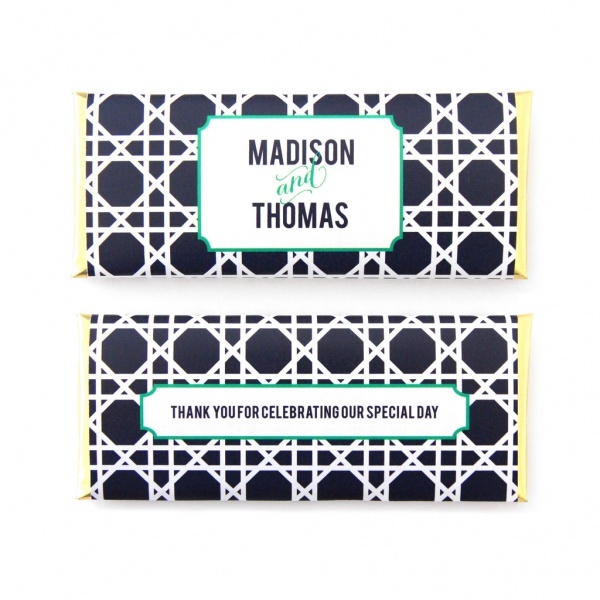 The Simply Polka Dots wrapper would match our color theme and is so fun! 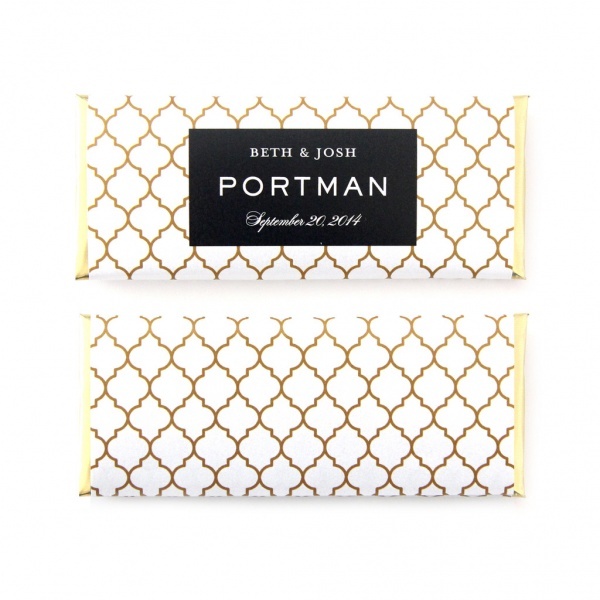 the gold floral rustic wedding wrapper is PERFECT for our theme! 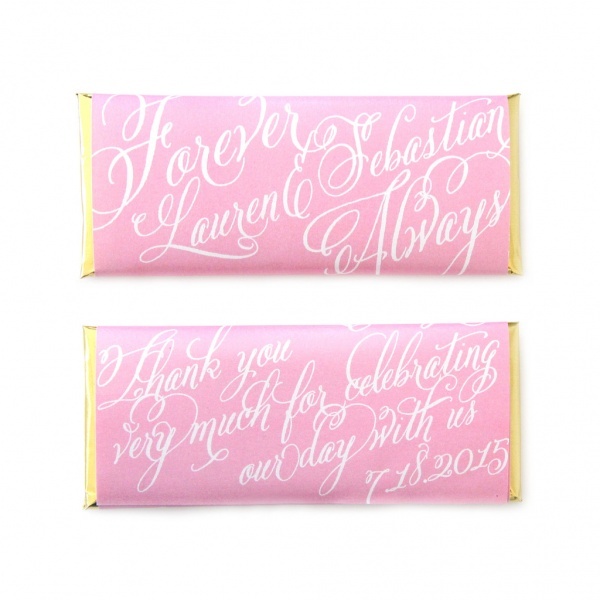 The Gracias Fiesta Wrapper would be perfect for our wedding! 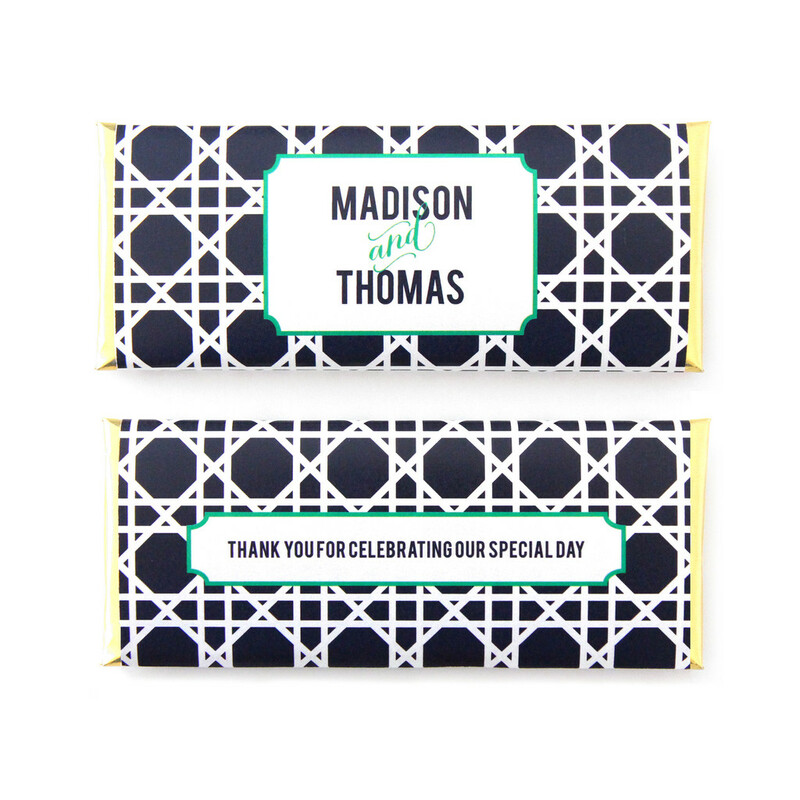 The Moroccan Trellis Wrapper is my favorite! I love these art deco wrappers! The Pink Script is totes adorbs !!!!! I agree! I like how the script covers the entire candy wrapper; it really makes a statement. My two favorites are the Forever & always script set and the Purple French set! Nice choices, Whitney! The Purple French set is especially striking. I love the chevron wrapper! I love the chevron, too! I like it in green, but I imagine it would look fantastic in any color. Wowza! 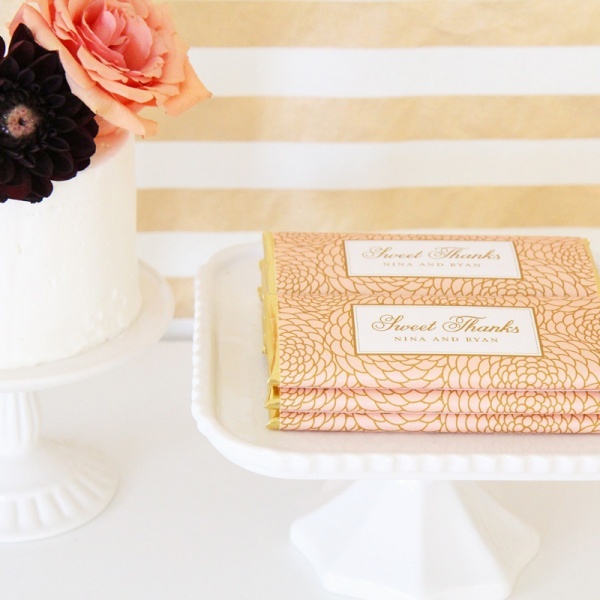 All of these are just beyond gorgeous I am crazy offer the wedding floral wrapper in gold! So luxe! Glad you like them, Veranda! I agree — I especially love the gold this time of year!